This vehicle, originally intended as a larger version of A11, was in fact a completely new design derived from A7. It was heavily armoured and carried a 2 pdr main armament. 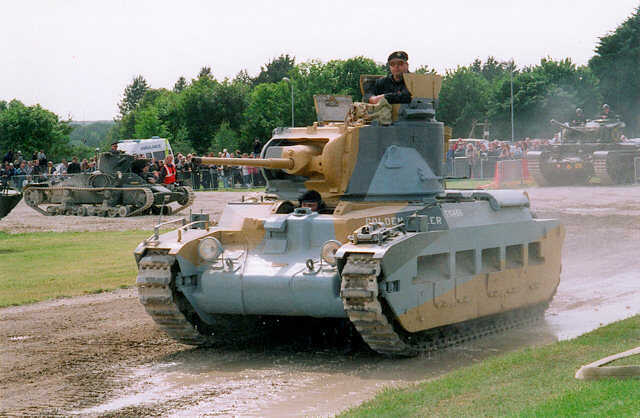 A limited number were in service with the BEF in France in 1940 and were used by 7th RTR with some success at the Battle of Arras just before the evacuation at Dunkirk. Subsequently they were used in the Libyan desert where their heavy armour protected them well from Italian anti-tank weapons, but not from the famed German "88". 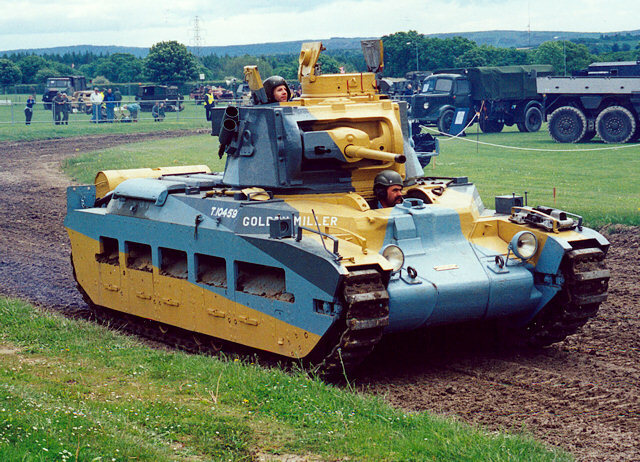 After 1942 the Matilda was largely used as the basis for a number of special purpose variants, as its limited turret ring diameter meant it was difficult to up-gun the vehicle from the 2 pdr main armament. These vehicles had a crew of four (Commander, Gunner, Loader, Driver) and had a maximum road speed of 15 mph and maximum cross country speed of approx 8 mph. 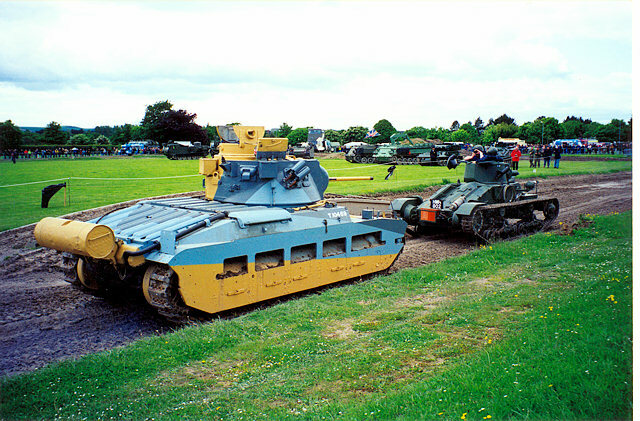 Marks IV & V had provision for an auxilliary fuel tank, as seen in the photographs on this page which are of the vehicle at Tankfest 2002, Bovington. 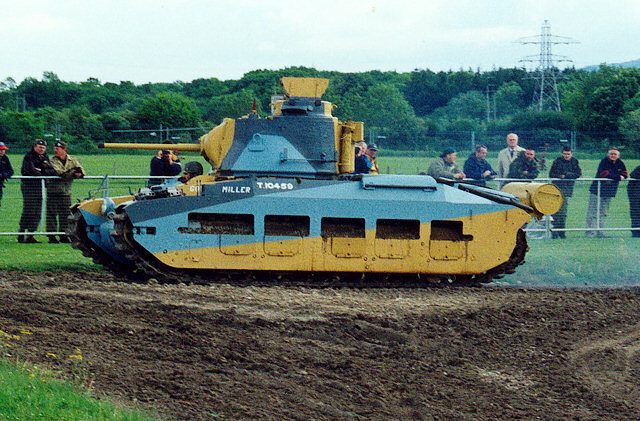 In the top and bottom photos, the accompanying vehicle is the A11 Matilda, which makes for an interesting comparison.